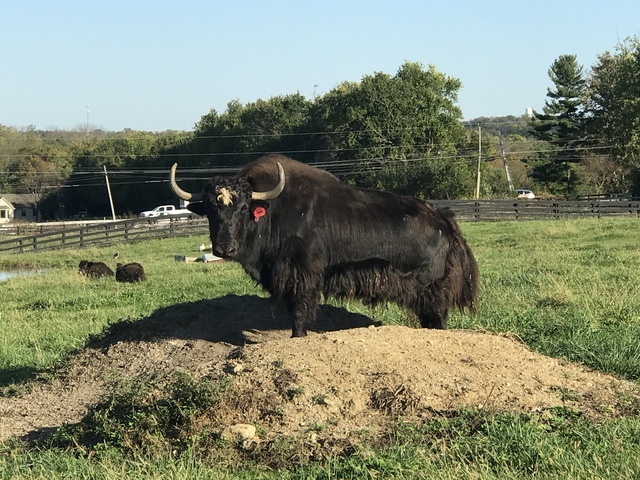 Yakzz: OH Yaks is a farm located in Lebanon, Ohio owned by Jamie & Nathan Sorum. It was a cold night that December evening of 2014. The reality began to set in as we sat across the table from each other at the Country Kitchen in NW Nebraska. We had just traveled 1,200 miles to take delivery of our first 5 yak. It was late, but we were hungry. We talked with trepidation, but yet giddy excitement, re-capping our adventure of learning about yak, searching for a breeder, and eventually settling upon these five without ever seeing them in person or even having talked in person to the guy we were buying them from! I guess that’s the power of the internet! What would these animals be like? Would their horns be scary? Would our facilities be adequate? Would we be able to make money with them? Heck, what would the trip be like just getting home with these things in tow? All sorts of questions, but at some point you have to take the plunge. That is part of what makes life an adventure! Now, 2 ½ years later, our herd of 5 has grown to over 25 through additional purchases and babies born, and we have a new crop of babies on the way! Sure, there have been challenges – there always will be with new ventures – but the enjoyment has FAR outstripped those challenges. From the excitement of seeing a new baby born, to the amusement of watching their various idiosyncrasies, to the peacefulness of sitting on a log in the pasture surrounded by these magnificent beasts grazing with a handful always in your face looking for attention, it has been a journey that both of us have never regretted. 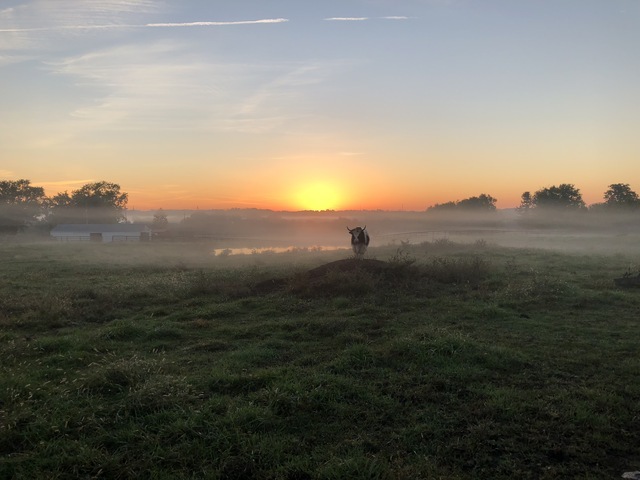 At OH Yaks, we focus on breeding high-quality animals that we work with countless hours to make friendly so that we can sell them to others looking to start or expand their own individual herds. We’ve sold animals to people as pets and 4-H projects; we have sold animals to people looking to augment or replace existing livestock herds. We try to price our animals reasonably because we understand that many of you want or need to be profitable with your new venture. Bottom line, if you are interested in starting or adding to a livestock operation, you owe it to yourself to check out yak. We would be honored if you choose us to purchase your yak from! If you are interested in meeting our yak in person or to inquire about yak, please do not hesitate to call or e-mail us. And make sure you like us on Facebook as that is where all the cute yak pictures are posted! During mid-2017, we will have our first supplies of yak yarn and yak meat to sell, and we already have roving available for you spinners out there. So, if you are into the fiber arts or interested in some tasty (and healthy) meat ranging from beef jerky to hamburger to ribeyes and filets, please let us know and we'll keep you in the loop. Thank you for stopping by our website! You can see all of our animals on the herd page, including what we currently have for sale. We look forward to hearing from you! We accept payment via cash, check, credit card, or through PayPal / PayPal Credit. 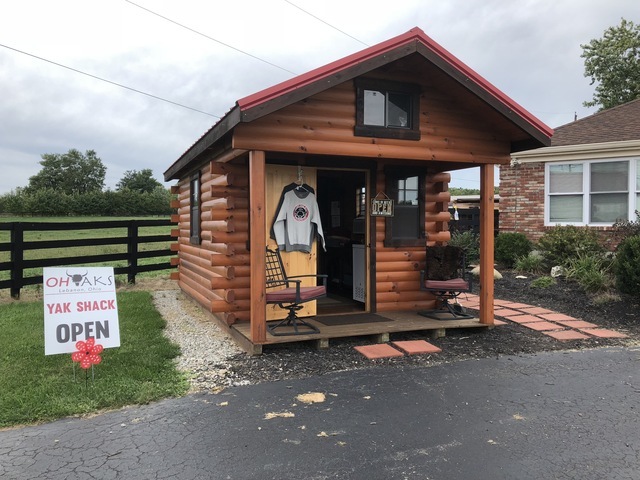 The Yak Shack is closed for the season! Thank you for your business and support during 2018. We will post shortly when we plan to re-open and when we have meat available.